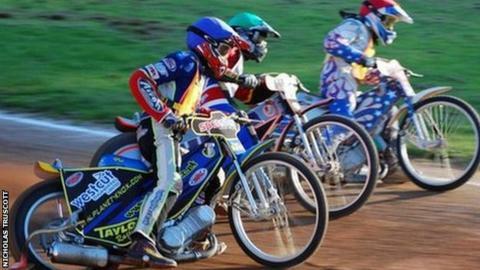 Plymouth Devils opened their 2014 Premier League campaign with a 52-43 defeat at Scunthorpe Scorpions. Captain Ben Barker top-scored for Plymouth with 14 points in a match that the Devils never led. Trailing by eight after four races both Rasmus Jensen and Barker were called upon to take tactical rides. That brought the Devils to within seven going into the final heat but Ryan Douglas and Josh Auty combined to give Scunthorpe all three points. After a disappointing start to the meeting Plymouth steadied the ship by drawing heats seven and eight, but still trailed their opponents by 12. Kalle Katajisto and Barker then took two race wins each as the Devils closed the gap to seven with one race remaining. But the impressive Scorpions duo of Douglas and Auty raced to a 4-2 heat advantage in the final race to ensure Plymouth went away from Lincolnshire pointless. There was better news for the Devils on Friday as they took an eight-point advantage from the first leg of their Knockout-Cup tie with Redcar. Skipper Barker (14+1) was unbeaten by an opposing rider but Plymouth left it late to take the victory. With the match all square after 12-races, Barker and Sam Simota combined for 5-1's in heats 13 and 15 to take what could be a crucial lead to Teeside for next month's return leg.